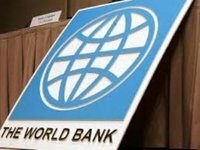 The World Bank’s Board of Executive Directors today approved a $150 million loan for the Access to Long Term Finance Project that will support Ukraine’s export-oriented small and medium enterprises (SMEs). "Access to longer term finance for small and medium enterprises will help the country grow its exports and contribute to reviving economic growth in Ukraine," World Bank Country Director for Belarus, Moldova, and Ukraine Satu Kahkonen said. According to the report, Joint Stock Company Ukreximbank is expected to implement this project by providing sub-loans to participating banks which, in turn, will pass on the financing to various SMEs in Ukraine. The SMEs will be selected on the basis of their financial health and capacity to develop a sound business export model. The implementation of the project will start in H2 2017. The World Bank is one of Ukraine’s major international partners, with projects supporting basic public services that directly benefit ordinary people in areas such as water supply, sanitation, heating, energy, roads, social protection, and health, as well as private sector development. Its current project portfolio is around $2.6 billion, consisting of eight investment projects. Since Ukraine joined the World Bank in 1992 the Bank’s commitments to the country have totaled over US$12 billion in about 70 projects and programs.